Sign up for ReferralCandy here. Go through the account setup wizard. 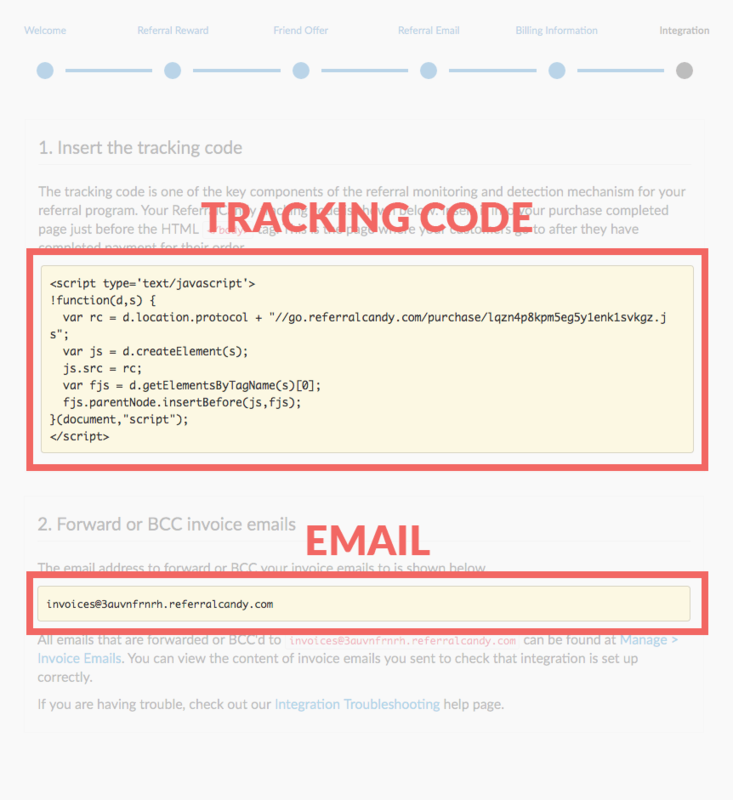 At the integration step, note the tracking code and email address for your referral program. You will need them for the next two parts. Complete the rest of the setup wizard. Log into your 3dcart Store Manager. 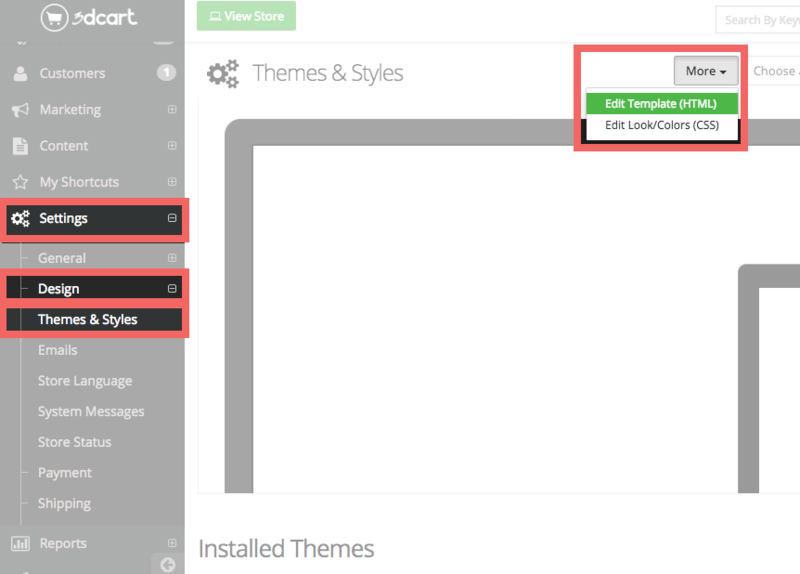 In the Store Manager, in the left side bar, select "Settings" > "Design" > "Themes & Styles". There, select the "More" option, and click on "Edit Template (HTML)". 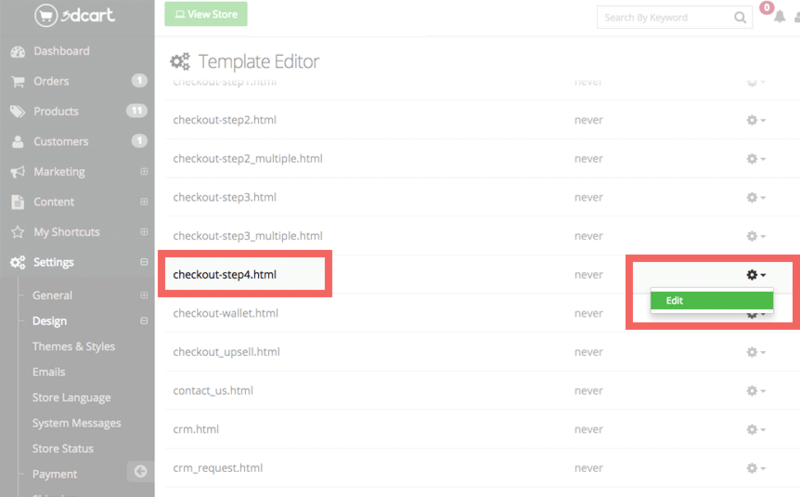 In the Template Editor, find the "checkout-step4.html" row, and click the "Edit" button on the right. 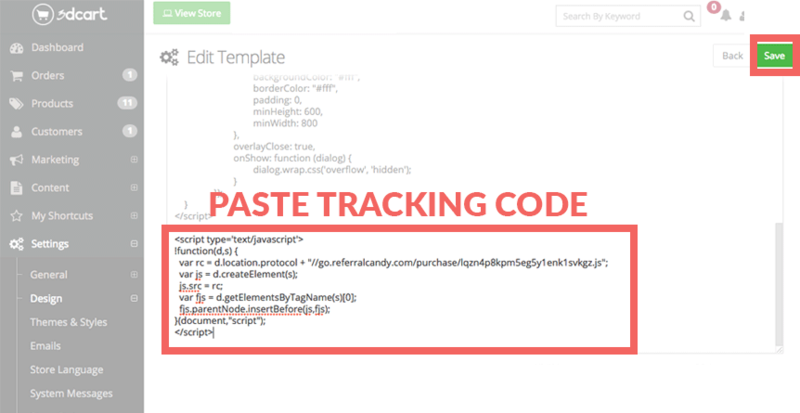 Within "Edit Template", copy and paste the ReferralCandy tracking code from Step 2 into the bottom of the input box. Click the "Save" button on the top right of the page to save the changes. In the Store Manager, in the left side bar, select "Settings" > "Design" > "Emails". 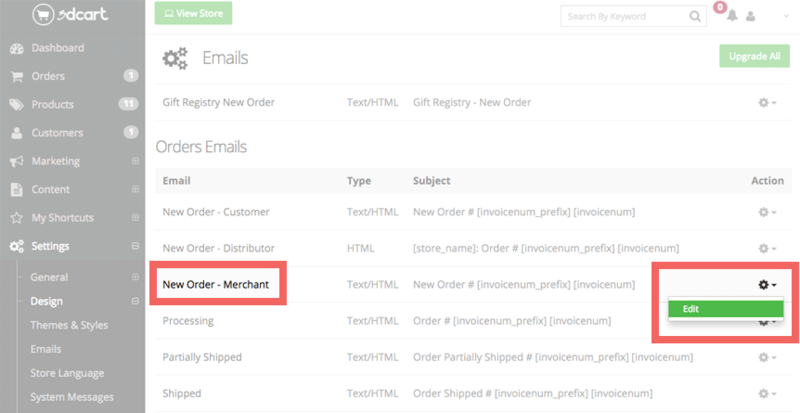 In the "Emails" list, find the "New Order - Merchant" row within the "Order Emails" section, and click the "Edit" button on the right. 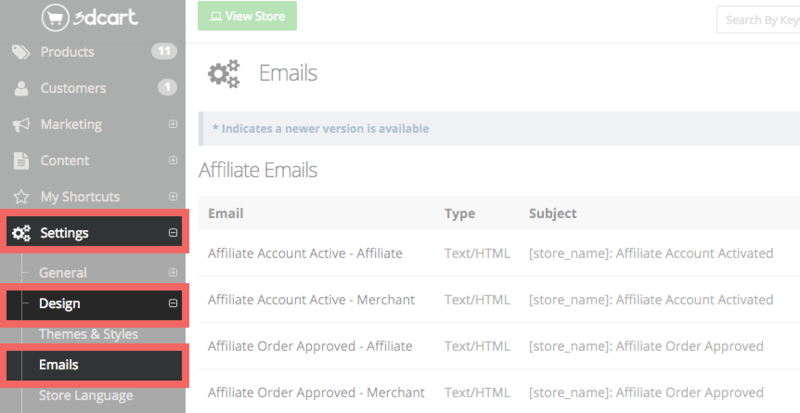 At the "New Order - Merchant" page, copy and paste the ReferralCandy email address from Step 2 into the "BCC to:" input box. Click the "Save" button in the top right corner to save the changes.